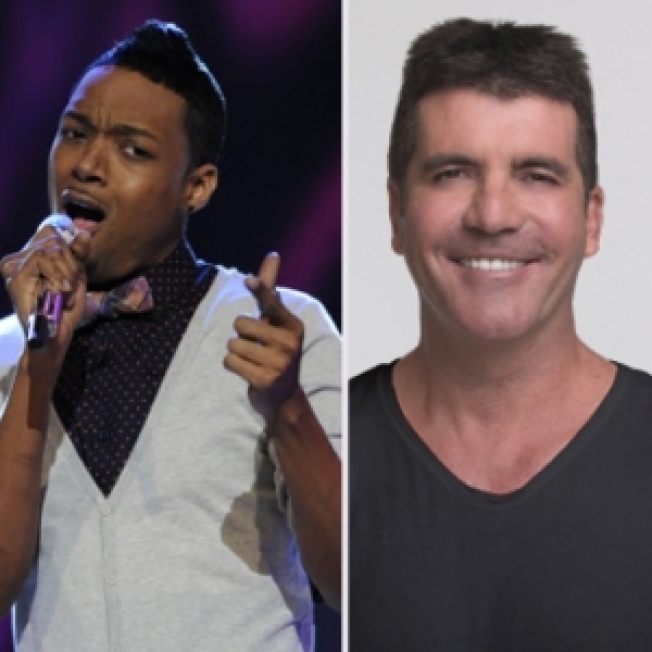 Booted "Idol" Jermaine Sellers on Simon Cowell: "I'm Gonna Send Him a Bible"
Church singer Jermaine Sellers was one of four contenders eliminated on "American Idol" this week, but he plans to send British judge Simon Cowell a reverse parting gift. "I'm gonna send him a Bible," the 27-year-old Joliet, Ill., singer told AccessHollywood.com's Laura Saltman on Friday. In fact, after receiving criticism for his performance of Marvin Gaye's "What's Going On" on Tuesday, Jermaine suggested to Simon he should come to church with him, something the British judge said he would do. And while there are no immediate plans to make that happen, Jermaine is hoping Simon can bring a little church into his heart. "Like I told him, he [needs] to go to church. If he had a little bit of Jesus in him, then he wouldn't be so mean," Jermaine said. "I've never known [anybody] that don't smile." But it appears Simon did show a crack is his armor after the show last night, according to Jermaine. "He came to me afterward, after I got voted off, and he said, 'Jermaine, I'm sorry,'" the singer said.